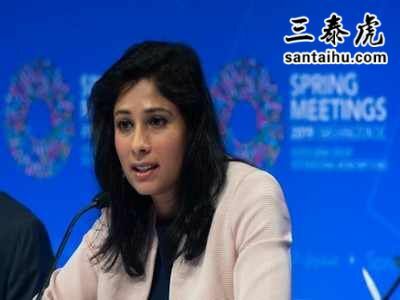 NEW DELHI: International Monetary Fund (IMF) chief economist Gita Gopinath has said that the Union government might need to fix “some issues” linked to the revised GDP methodology, which had been flagged by the multilateral agency. The former Kerala government adviser joins former Reserve Bank of India governor Raghuram Rajan in raising fresh concerns over the methodology to arrive at the GDP numbers. But unlike Rajan, Gopinath did not question the numbers that have been released over the last four years or so. “There are still some issues that need to be fixed and this we have flagged before with respect to the deflator that is being used for estimating real GDP,” she told a TV channel in the US late on Thursday. The GDP deflator is a measure of general price inflation and is calculated by dividing the nominal GDP by real GDP (net of inflation) and then multiplying by 100. Gopinath, who along with Rajan and other economists, had recently released an economic agenda for political parties too called for a need to better communicate the GDP numbers. “India is projected to be growing over 7% in 2019 and 2020, which makes it one of the fastest growing major economy in the world, which is why it’s even more that that the statistics coming out of India are transparently communicated because everyone is watching India at this point,” she said in the TV interview. On his part Rajan, who had earlier praised the central statistics office for the new methodology, had questioned the veracity of the numbers and had suggested that growth may be overstated. He had suggested getting an “impartial body” to review the numbers to “restore confidence”. this lady was Kerala govt advisor. We all know politically where kerala stand. All these fake khangraessi supprter opening their mouth during election to support khangress..
Raghuram Rajan already pointed out this issue 3 years back. But bhaktaas blamed him. This BJP govt is cheating in all areas. Don''t know who will save India if Modi will come to power again. BJP Govt fudged GDP calculation methodology in 2016. Real GDP growth is full 2% points below what Govt states. 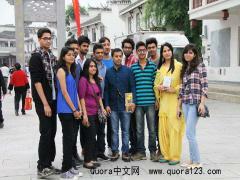 Indian GDP is disbelieved at major institutes now. Even big global investors are worried. We have become a negative yielding economy and it will hurt us terribly if Modi returns to power. There will be no biz and no jobs. Hard situation ahead. india is in safe hands under bjp rule n second time also we will choose modi only. These so called khangressi chamas talk during election will no difference in public mind. Best way to do this is by letting knowledgeable people run the government not chaiwala or chowkidar. Some boot lickers have started making childish comments about IMF chief economists’ statement. Pity on those who don’t even know the different between ‘bakth’ and ‘Bhakt’ - though it is irrelevant here. Geeta Gopinathan has not raised any doubts, accusations or concerns; she just said that IMF is ‘watching’ the new methodology of data collection - which is IMF’s prerogative. She is supposed to make such observations in her official capacity as an IMF representative. This is one among the last ditch efforts to discredit Modi Ji during election time & confuse voters. However, people are wiser and know that Modi Ji is the only one among current leaders who can deliver the goods and take India to the next level over the next decade. Jai Hind! Even though I'm a BJP supporter, I can clearly see where her concern is coming from. If there are even minor irregularities in our GDP calculations which might create unnecessary suspicions in the minds of foreign investors and companies, it would negatively impact our growth, so her concerns are welcome. But Rajan went too far with him saying that the government is misrepresenting. is there any area where Modi has not lied? Shameful that even IMF have pointed that he is providing fake data. He is serial liar and can tell lies without blinking. Left leaning intellectual speaking on the contrary is expected. This govt. may be trying to fool the people of India but it cannot fool the world. The govt has destroyed India''s respectable data system. If an indicator goes against this silly govt, they go for a new and favourable survey. You cannot build an edifice on pure lies. GDP data is not reliable, job data is not available, black money data not available ... It is a shame that we are governed by congenital liars! We Indians suffer fron the tendency of ‘MY WAY OR HIGHWAY. We should respect the opinion of professionals. Most of the people abusing here leven can’t read the papers written by her. when a 1km of 4 lane road can become 4km road, then it is not a surprise on the GDP nos. Modi and Jaitley doctored all data - people should punish them in this elections for making India a laughing stock before the world. They lied the nation on their performance for votes. Raghuram Rajan's credibility suffered a huge dent when his contract as the RBI governor was not renewed which indirectly implied that he was not the man India needed. This is a big loss of face hurting his pride. He therefore leaves no opportunity to attack India when it suits him. It's really a scary situation to see that the government is manipulating key growth metrics to paint a wrong picture to the public. Even RBI Governor was asked to step down since he acted independently like the way RBI should. The ruling government never cared for the GDP growth but misled Indians by giving wrong figures. Do Gopinath and Rajan have the guts to talk like this about China? What about IMF, and other world economic bodies grading and rating India? Are all agencies wrong in case of India? These NRIs need to be strictly impartial. If they are so clever they can tell what is wrong in the calculation instead of saying 'something is wrong'. fake figures are shown from last 4 yrs..